GIFT GUIDE: Under $50 for everyone! Part of a secret santa or looking to snag something for your best girl? TWO: Yeti Mug- I won’t stop talking about how much i love them. Never ever ever. When in doubt, I recommend going with the white for girls and black for boys so you know they’ll like it! THREE: These slippers are SO cute and come in a bunch of different colors. I actually own the pink pair (shocking, I know) from last year and I love them! FOUR: Honestly, these are beyond gorgeous and any girl would be lucky to have them. They additionally come in several colors and I feel like for a floral, they’re super diverse in how they can be worn all seasons. LOVE! SIX: This is a portable wireless speaker- something I’d honestly never be tempted by until I was exposed to the ‘luxury’ of one! 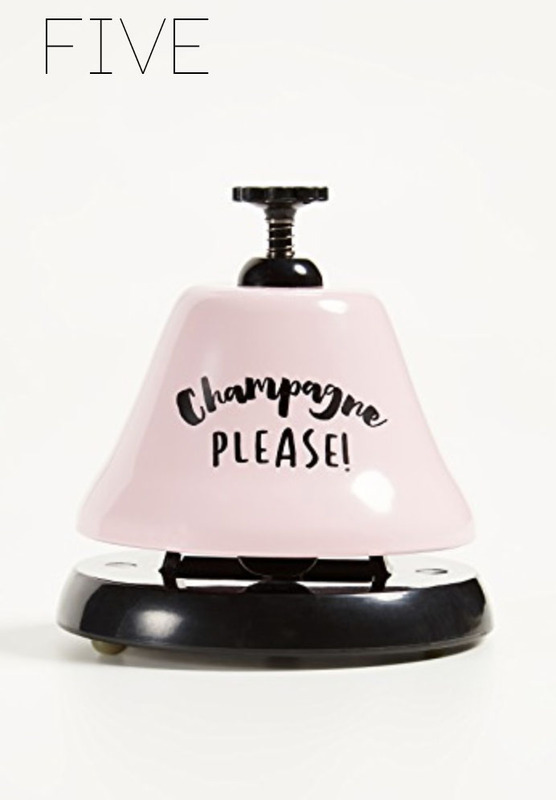 My sister in law has one of these and travels with it- she plays her fav tunes while she’s getting ready and they project sound really impressively. SEVEN: Have a girlfriend who is always on the go? This is a great travel accessory because its dang cute and it is compact! I am always weird about whether or not to bring a hair dryer on a trip- I never want the extra weight, but also don’t want to risk not having a blow dryer at the hotel! 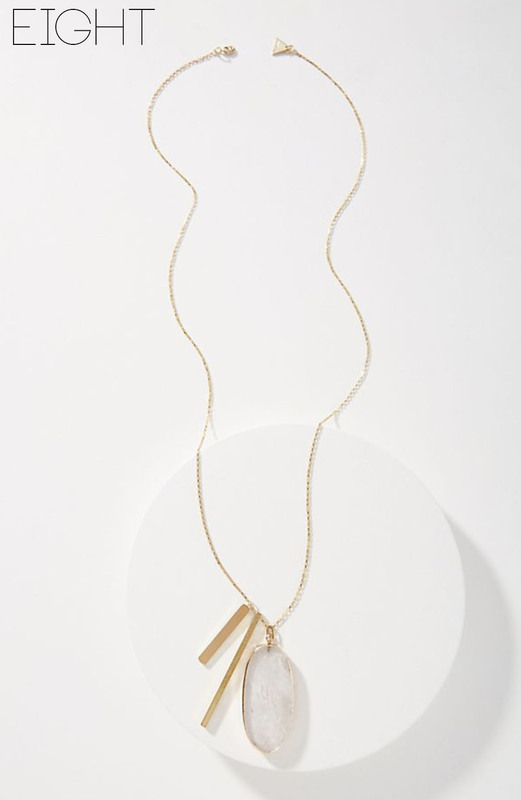 EIGHT: Jewelry is always a great gift- I find that longer necklaces go with every style and this one meets that exact criteria. I could see someone classic, boho or feminine wearing this one. NINE: Hair accessories are everything right now and I am obsessed. They are an instant way to update any outfit and make it look incredibly styled and put together. These are great because they come in an assortment of colors and are simple enough for anyone to wear. TEN: Have a friend that travels all the time? Packaging cubes are AMAZING and a something that I (unexpectedly) get asked about DAILY. I posted about these packaging cubes back in October and I get asked about them ALL the time- clearly people are interested in them and they are a great gift for someone who is always on the go! ELEVEN: Coffee Table Books are always a great gift. Women can style them in any way, allll over their home. This pink one is an adorable gift for the girly girl. TWELVE: If you haven’t noticed, scunchies have made a giant comeback this fall. These scrunchies are the ultimate high end hair accessory. The price may seem like a lot for a dolled up hair tie, but thats what makes them such a killer gift. They are the BEST of the best. This is also for a pack of two so its double the fun! THIRTEEN: Every girl knows that hanky panky is the best underwear around- but it also isn’t cheap. I always love getting hanky panky as a gift because you don’t want to buy it for yourself. This little three pack is a great gift for your best girlfriend, especially in these cute holiday prints! FOURTEEN: I’m not going to lie to you, I do tons of browsing when making these gift guides and every once in a while one of the things ends up in my cart- these slippers were that thing this year. I LOVE THEM. They look so cozy and so comfy, I think they’re the ultimate gift and look wayyy more expensive than they are. FIFTEEN: This is the PERFECT gift for your white elephant or secret santa at the office or your best girlfriend. Honestly, anything where females are involved. At exactly $50, it will meet the $50 requirement perfectly and will be something people fight over. Jade Rolling is the new craze in skincare and this gift will last the recipient for years.